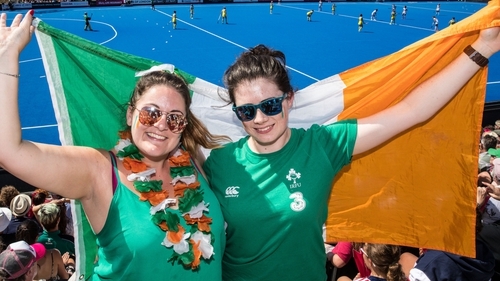 Ireland will play the Netherlands in the Hockey World Cup final on Sunday [4.30pm] after the Dutch came through a penalty shootout against Australia on Saturday evening. The seven times winners of the tournament held their nerve to set up a date with Graham Shaw's Green Army. Kelly Jonker rewarded Holland's first quarter superiority by smashing home after great work by Lidewij Welten. Australia goalkeeper Rachael Lynch kept the Hockeyroos in contention with some excellent stops, and Georgina Morgan equalised seven minutes from time with her first penalty corner goal of the competition. But Frederique Matla, Xan de Waard and Welten all scored for Holland in the ensuing shoot-out, while only Kristina Bates was on target for Australia. It's a massive ask now for the Irish but they have defied all expectations already and seemed completely unfazed in London; they will absolutely believe there's one more huge performance in them. And who would doubt that? Having emerged from their pool as their lowest ranked side in it, Ireland have grown in strength as the challenges have become more formidable. India were beaten in a penalty shootout in the quarter-finals. On Saturday, Spain were slain after another nerve-shredding batch of penos. And now they are 60 minutes from pulling off the unimaginable: winning the World Cup. Ireland face the Dutch in Sunday's final (4.30pm) and you can watch their moment of destiny live on RTÉ2 and the RTÉ Player, with commentary also on 2fm. We'll also have a live blog on RTÉ.ie and the News Now App. Don't miss it.